The Patient Protection and Affordable Care Act includes a series of quality initiatives aimed at measuring, tracking and improving the quality of care delivered by privately operated Medicare Advantage plans. 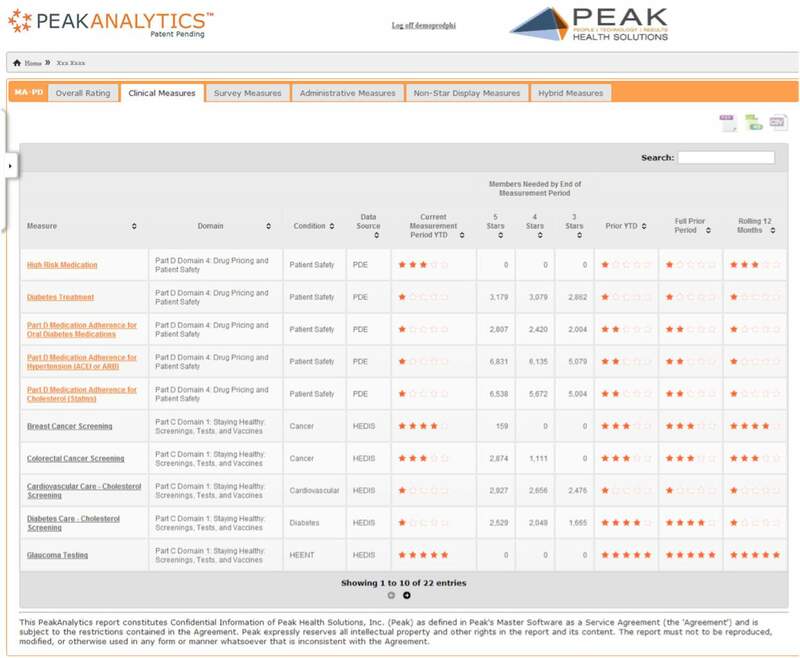 With $5 billion in funds available annually, Peak Health Solutions partnered with Zencos to create PeakAnalytics™, a SAS based application designed to help their healthcare provider clients earn government bonus payments by tracking their performance against the government’s five star quality rating system. “SAS is extremely valuable for complicated heath care analysis,” said Richard Lieberman, Executive Vice President of Peak Health Solutions. “The Zencos team delivered a robust analytics solution that gives our clients the data they need to assess and improve their plan performance against the government’s rating system”. Zencos designed PeakAnalytics™ to aggregate and analyze claims, survey, and medical record review data. 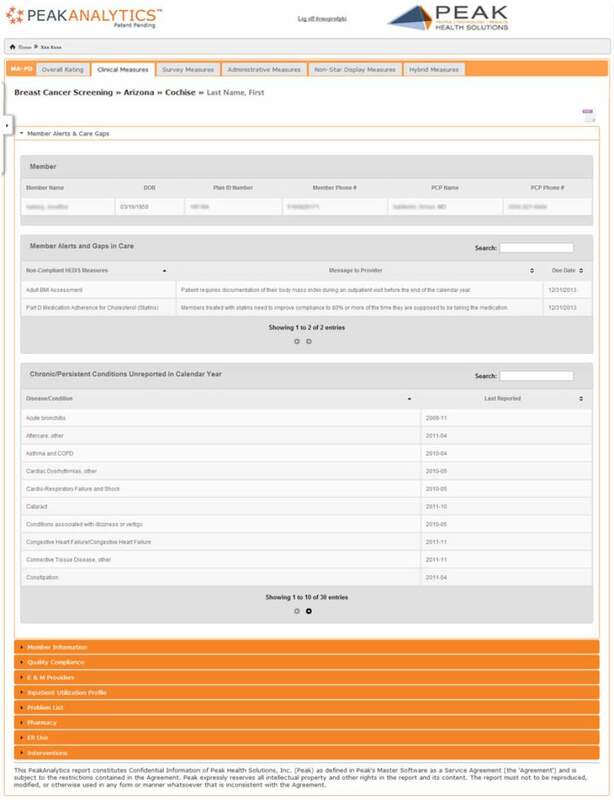 It’s robust software as a service web portal let’s healthcare providers drill down to the plan, provider and member level to monitor progress and implement any changes needed to improve performance. In addition to the complexity of the data, user adoption and satisfaction were also key considerations. It was essential that the solution present and visualize data in ways that met the specific needs of user groups throughout Peak Health’s client organizations. PeakHealth is already working with Zencos on future enhancements to the system that will enable providers to use predictive analytics to forecast potential high-cost patient cases, with outcome variables like the risk of future hospitalization. Using a regression model, the system will be able rank members by their probability scores. Zencos helped us create a solution that gives healthcare providers and plan managers the data to maximize revenue and quality of care.